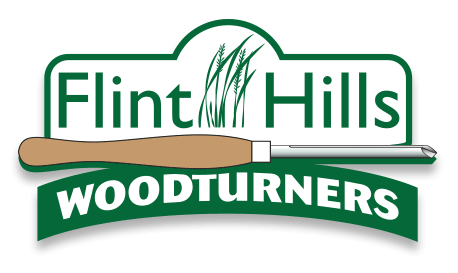 Flint Hills Woodturners is a 501(c)(3) non-profit composed of individuals who are interested in learning and promoting the art of turning wood. Formed in March 2015 for hobbyists in the Flint Hill region of Northeast Kansas centered in Manhattan, the club welcomes all interested people to visit our meetings to get a sample of this inspiring hobby. You will find warm people from novice to expert willing to share with you. Flint Hills Woodturners is a chapter of the American Association of Woodturners. 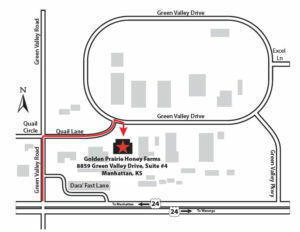 Unless announced, meetings are held the first Saturday of the month at Golden Prairie Honey Farms, 8859 Green Valley Drive, Suite #4, Manhattan, KS. Meetings officially start at 9:00 am but members start gathering a little after 8. Enter at the rear of the building. There is a sign for Flint Hills Woodturners on the door on meeting days. The American Association of Woodturners (AAW) is a nonprofit 501(c)(3) organization, dedicated to advancing the art and craft of woodturning worldwide by providing opportunities for education, information, and organization to those interested in turning wood. Established in 1986, AAW currently has more than 15,000 members and a network of more than 350 local chapters globally representing professionals, amateurs, gallery owners, collectors and wood/tool suppliers.